My first giveaway of 2010 - The One World One Heart event! More close up photo's below - all photo's are clickable. 15 February, click on the link above for the rules. I am also having another giveaway for Valentine's day, you can enter here, this will be drawn on the 19th February. All you have to do is leave a comment to be in with a chance of winning my One Heart One World giveaway, the prize will be drawn on the 15 February GMT time at 6pm and published on my blog no later then 11pm GMT time.I would love to welcome new visitors but also look forward to seeing some of my regular visiting friends popping back to say hi. Leave a comment, I would love to hear from you, everyone is welcome! 1) Leave a comment on this post before 6pm on the 15 February 2010. 2) If you decide to follow my blog you are entered again. 3) If you are already a follower then you are automatically entered, but if you leave a comment then you are entered twice. There is one prize for one lucky winner. 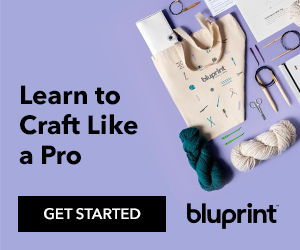 here on my finishing tutorials blog. The bottle cap pincushion is made from craft felt and stitched with dmc thread. Measurements - 3.5cm along the base and stands 3.5cm high. Free cross stitch pattern for the Needlebook from previous post. I would just like to thankyou for all of your encouraging comments I received about my boxed set in the last post, it really was a hit with everyone, you all seemed to love it. I would also love to welcome all of my new followers, thankyou so much for taking an interest in my work! 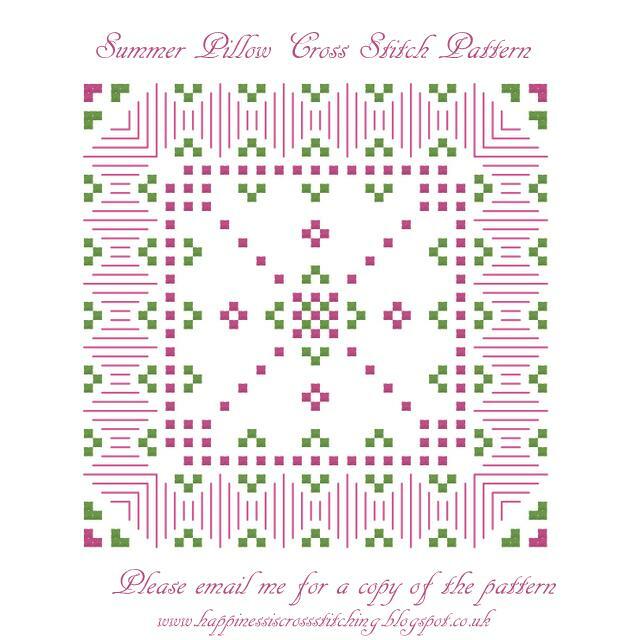 The pattern below is for the little matching pillow and is now available, please email me for a copy asking for the Pink and Green Summer Pillow so that I know which one you would like. 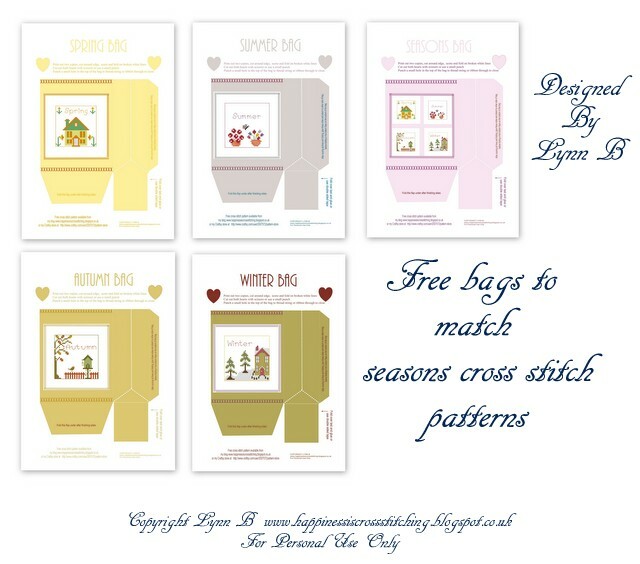 I have put together the Needlebook cross stitch grid for you to take if you wish - just click on the image above and print it off, I am currently redoing the pattern for the needlebook to make it clearer. 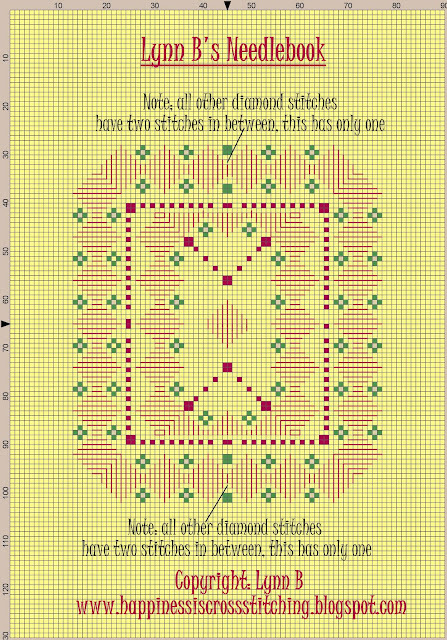 The straight stitches are quite easy to do, but if you look at the photo below you will be able to see how they are made, just stitch some straight stitches next to each other to create the diamond shapes, but be careful when counting where to put the stitches as this can be quite tricky. Happy stitching everyone, until next time. My first finishes of 2010. Hi everyone, I hope you all had a lovely New Year and are enjoying 2010 so far! I have not been doing much stitching in the first two weeks of January as I have been quite busy doing other things, but I did manage to put the finishing touches to this box and contents that I started in Nov/December last year. I designed the needlebook, (pattern now available here) , square cross stitched pillow, the felt pillow and the bottle cap pincushion myself, the round rose embroidered tuffett was not my own design as I have seen many examples of this design on other blogs. I made the pins using Swarovski Crystals and the box was a modified design of a tutorial I found on another blog, the tutorials and more photo's are available in this post below. 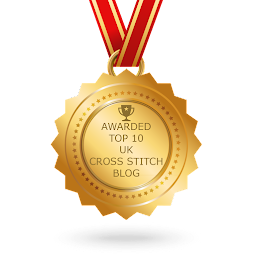 I have set up a blog called lynnscrossstitchtutorials here , I have been asked quite a few times how I have completed my cross stitch projects so I thought I would put all of my tutorials in one place. 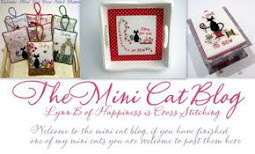 I am currently planning and stitching my first giveaway for 2010, it will be published on the 25 January. I know that sounds very specific but I will be taking part in the One World One Heart giveaway that starts on that date, if you wish to take part in the One World One Heart event all you have to do is sign up on the 25th January and promise to give away a prize to one winner in your own blog draw. 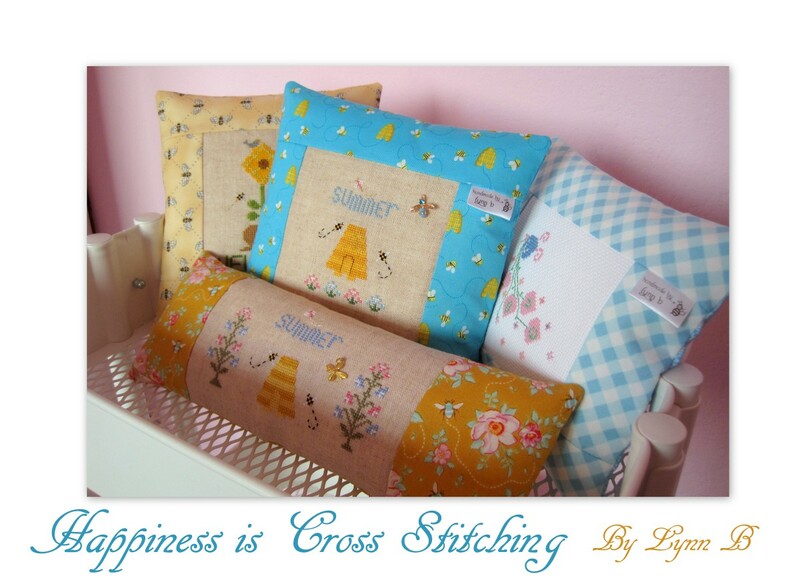 I am looking forward to seeing my old friends visiting and hoping to see some new friends too, so don't forget pop back and see me on the 25th, if you like what I have stitched then leave a comment and you could be a winner! I am also currently planning and stitching my first 2010 personal exchange that will be sent at the end of January, obviously I cannot show pictures yet, but I am really looking forward to sending it, I will show pictures once my exchange partner receives it. I have been asked a couple of times how I created the collage in the last post - I downloaded Picasa 3 from the internet, it is a free photo editing design that allows you to create collages. The cording was handmade out of DMC thread using a small drill. I used four pieces of dmc thread and twisted it with the drill until it was really tight and then started to kink, when that happens fold the twisted threads in half and all of the threads will coil around each other and make this matching cording for all of your projects. The box was made following basic box instructions, you can see my tutorial on my finishing blog here although I did change the design by altering the top and adding a drawer. I found this lovely tutorial showing how to make these cute pincushions here by Jen Segrest, she has also published some of her pincushions in the book Pretty Little Pincushions, I bought the book after seeing her tutorial for the bottle cap cushion, it really is worth buying as there are some lovely ideas in there. The Pins Pillow pincushion is my own design, I have put the pattern instructions together to make the larger pillow measuring about 10cm x 7cm. If you would like a copy of the pattern ( excluding materials ) just leave me a comment with your email address and I will happily send it to you. Thankyou for leaving such lovely comments in my last post, I enjoyed reading them all.